Anterior cruciate ligament (ACL) injury rates are high in youth athletes and have been increasing the past 10 years. These injuries have serious effects on the lives of young athletes, their parents and their coaches. 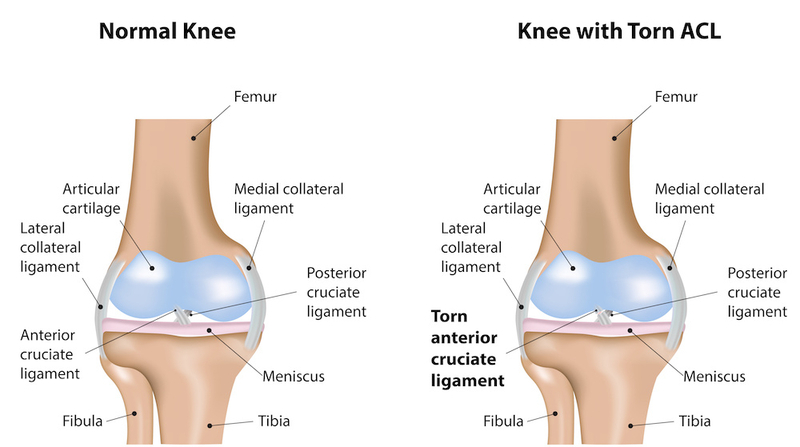 The ACL connects the thigh bone to the shin bone, helping to prevent twisting and bending of the leg. However, if too much twisting or bending happens at the leg, injury can occur. Trying to figure out what causes these injuries can be confusing. ACL injuries are often blamed on factors out of our control. These factors can be bone structure, hormones or even gender. What is usually neglected is a key reason for injury that we can control: misaligned movement. What is misaligned movement? The human body is like a machine similar to a car. When a car’s alignment is off it begins to have wear and tear, perform poorly and then ultimately it will break down. Our bodies are no different. If the body’s alignment is off during athletic movement, the body can experience wear and tear, perform poorly and eventually get hurt. Just like we are trained to operate a car skillfully, athletes need to be trained to move properly. This starts with correcting misaligned movement. There are many types of misaligned movements. 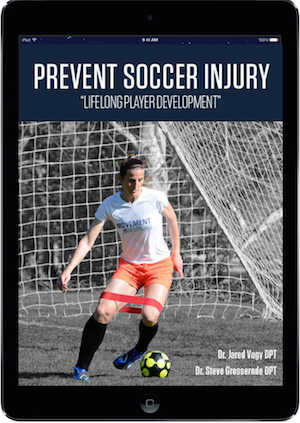 A common dangerous movement that leads to ACL injury is the knee collapsing inward (Video 1). Research shows that athletes who suffered an ACL tear demonstrate a greater amount of knee collapse. The knee can collapse inwards during fundamental movements in sport. These movements include planting, decelerating and changing directions at high speeds. Fortunately, there are exercises that can help to correct misaligned movement. Just as a doctor may prescribe specific medications to treat different illnesses, specific exercises can be given to correct different misaligned movement habits. We will focus on the exercises that help athletes who demonstrate one misaligned movement called knee collapse (Video 1). Video 1 description: shows movement misalignment of the knee collapsing inwards and then how to change to proper movement alignment. The gluteal muscles are the main muscles that control the knee from collapsing inwards. Weakness of these muscles can lead to injury. It is essential to use the gluteal muscles to keep the knee in proper alignment while planting, decelerating and changing directions (Video 1). An excellent way to activate the gluteal muscles is with a resistance band wrapped above the knees. The tension from the band pulls the knees inwards and out of alignment. You must use your gluteal muscles to press your knees against the band to align the knees. Perform the two exercises listed below as part of a pre-practice warm-up program to activate hip muscles and prevent injury. Use a low-resistance band and perform each exercise for 1 minute. The low resistance and long duration will allow hip muscles time to activate but not fatigue. Purpose: Activate specific hip muscles while decreasing stress on the knee. A: Put your feet through the exercise band and wrap just above knees. Stand with feet shoulder width apart. B: Equally bend from your waist/hip and knees. Stop when thighs are parallel to the ground. Make sure to keep knees behind and aligned with the second toe. Squeeze glut muscles upon return. Video description: shows corrective exercise squat with band to help prevent ACL injuries. Purpose: Activate side hip muscles that prevent the knee from collapsing inward. A: Put your feet through the exercise band and wrap just above knees. Lay on your side with your hips and knees bent without twisting your back. B: Squeeze the side hip muscles, bring your leg out and hold. Feel the muscles in the side of the hip working. Video description: shows corrective exercise clams with band to help prevent ACL injuries.